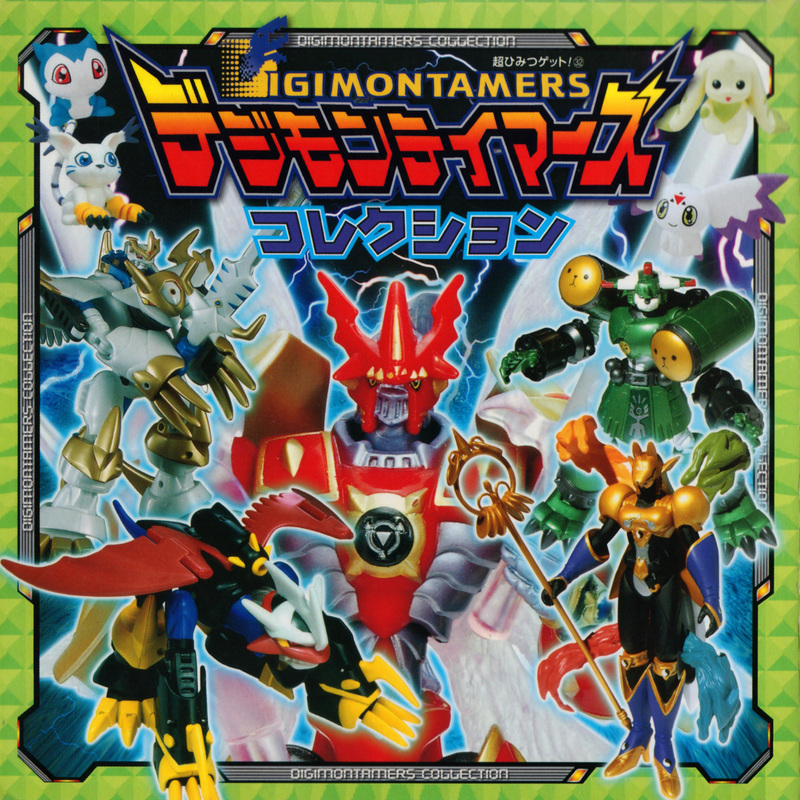 For the third day of Digimonukkah 2018 we go back 16 years to 2002 for the Digimon Tamers Collection! 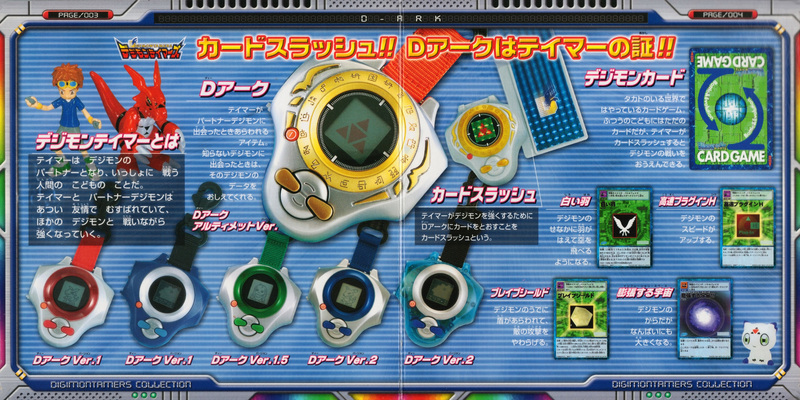 This is an old guidebook that gives basic information about Digimon Tamers. It also acts as a miniature product catalog by using product photos instead of images/art from the show. 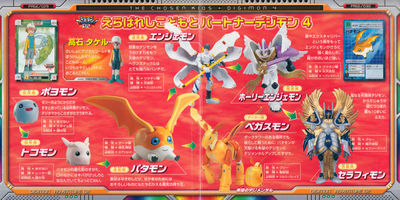 It covers 'most' of Tamers (basically light information on everything except the second movie.) 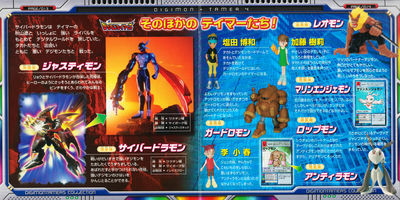 In addition, it also does the same for all of Adventure 02. 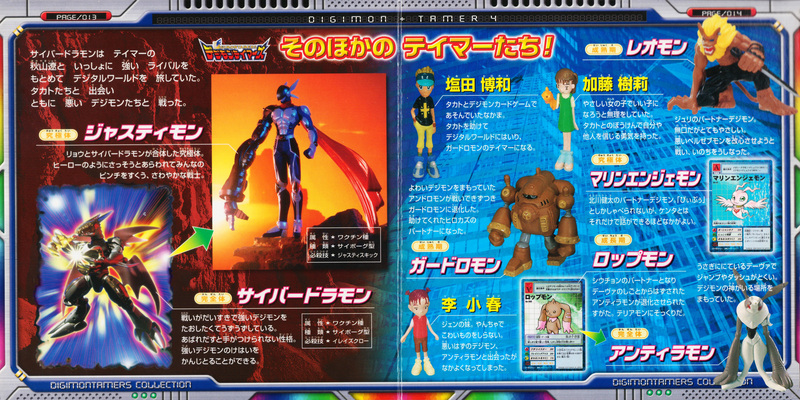 Big thanks to Dev for scanning this. She scanned and edited it quite awhile ago, and then we both promptly forgot about it, we think.... Neither of us actually recall. We think she scanned it specifically for WtW, as certain things in the way she scanned it skew more to the way I work than she does. 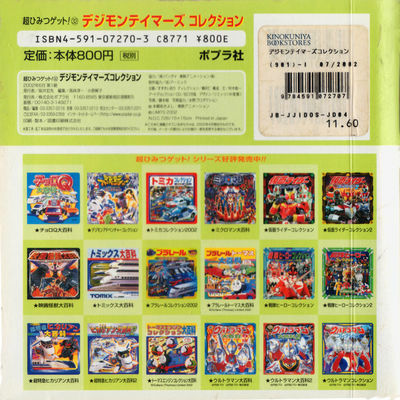 In addition, 2 small details, the book had unique binding that made it hard to always get perfectly flat, so not every detail is completely scanned crisply. Lastly, the book was used when Dev got it, so there are various imperfections and such that neither of us tried to edit. 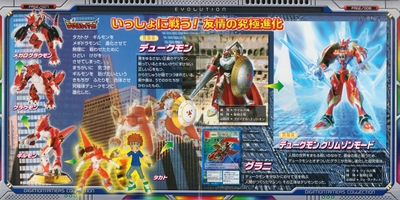 The front cover (up above) has a Dukemon Crimson Mode figure in the center, other Tamers toys on the right, with 02 toys on the left. The back has various publishing info, along with other books in the series. This introduction section gives some basic information, while also pointing out it only goes up to roughly April 2002 in it's material. 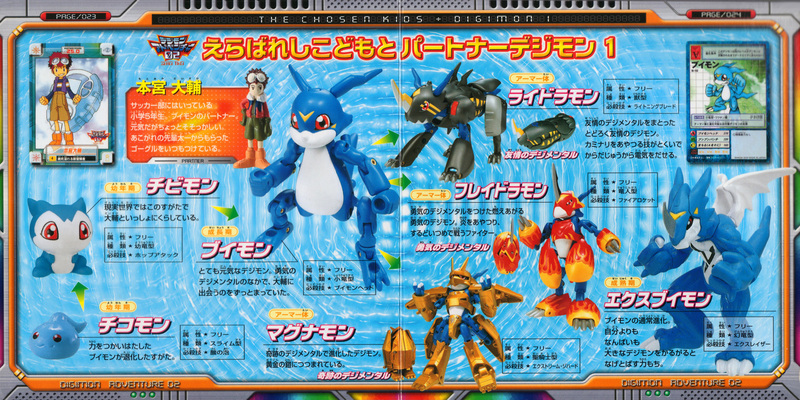 It also points out that while it shows toys, it gives information for the shows/films, and it is not a comprehensive toy/product guide. 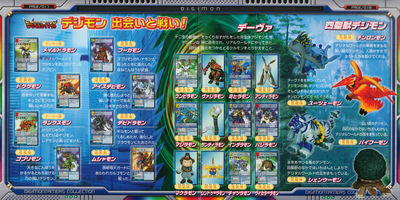 A section for the D-Ark along with the cards. 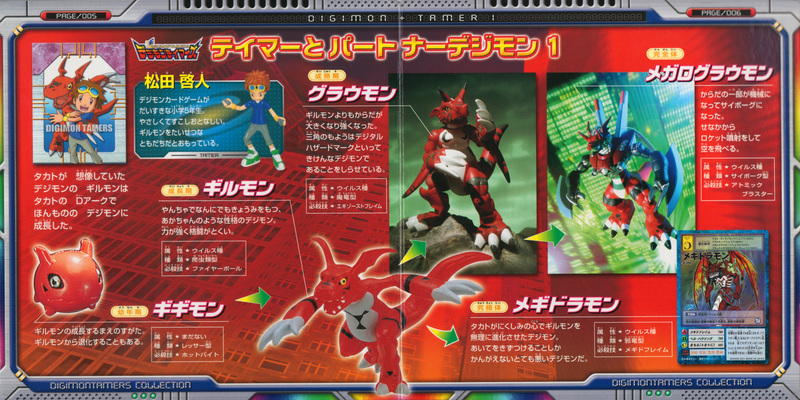 Takato and Guilmon get a spread, along with a second spread giving more information about evolution and Guilmon's higher forms. 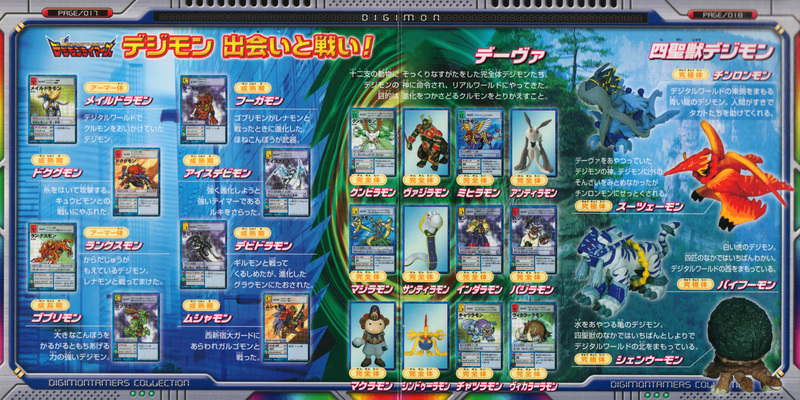 A few spreads dedicated to Jianliang and Terriermon, Ruki and Renamon, along with the other Tamers and their Digimon. 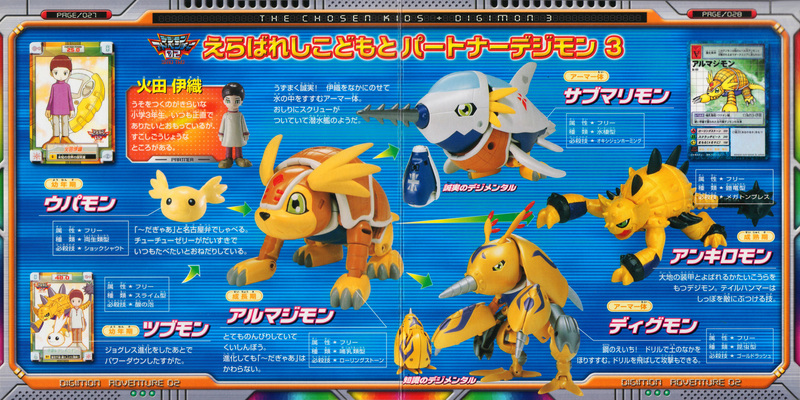 Culumon and Impmon get a section, and then we get more Digimon that appeared in Tamers. 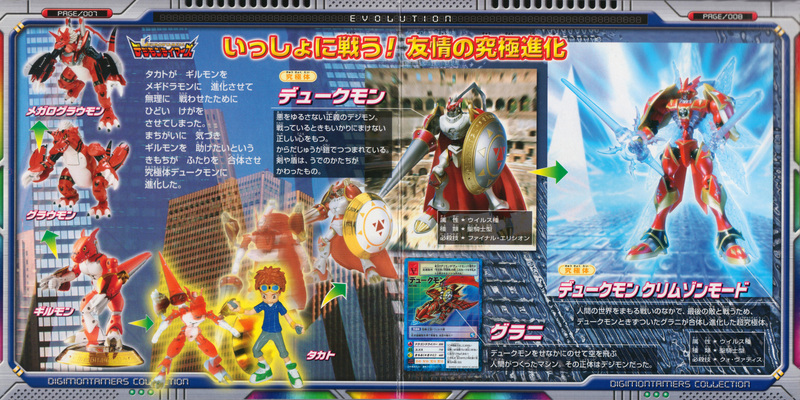 Tamers finishes with a page dedicated to the first Tamers film, The Adventurer's Battle. 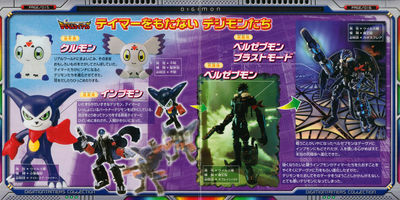 The opposite side shows some collectible mini-figures to act as a break in-between major sections in the book. 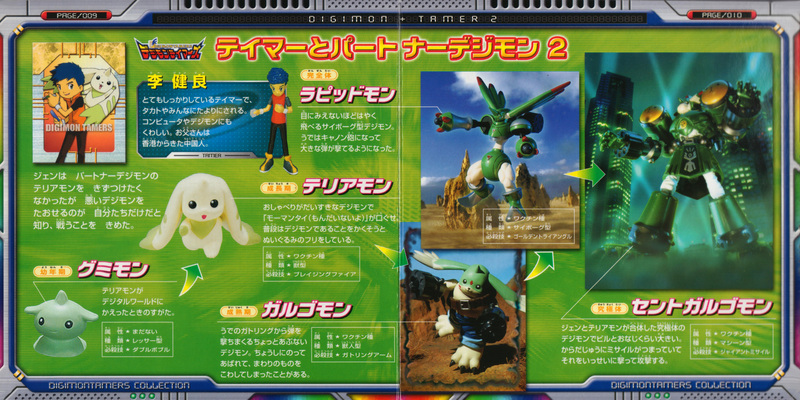 The 02 section starts showing off various items from the seires, like the D-3 and D-Terminal, while also showing off various characters. 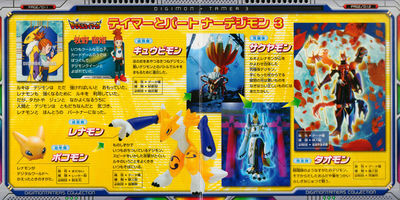 Then we get multiple sections going over the kids and Digimon from 02. 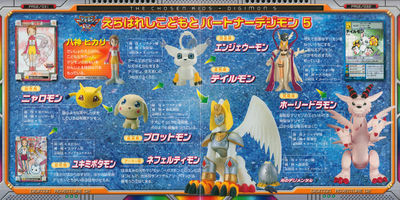 Daisuke and V-mon, Miyako and Hawkmon, Iori and Armadimon, Takeru and Patamon, Hikari and Tailmon, and Ken and Wormmon each get sections. 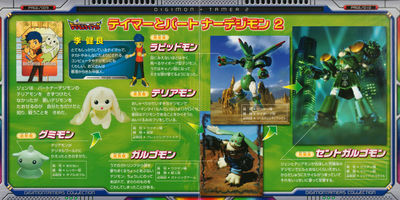 Ken and Wormmon's section only requires one page, so the second page of that spread shows off various villains from 02. We then get two spreads showing off the jogress and higher level forms of the partner Digimon in 02. 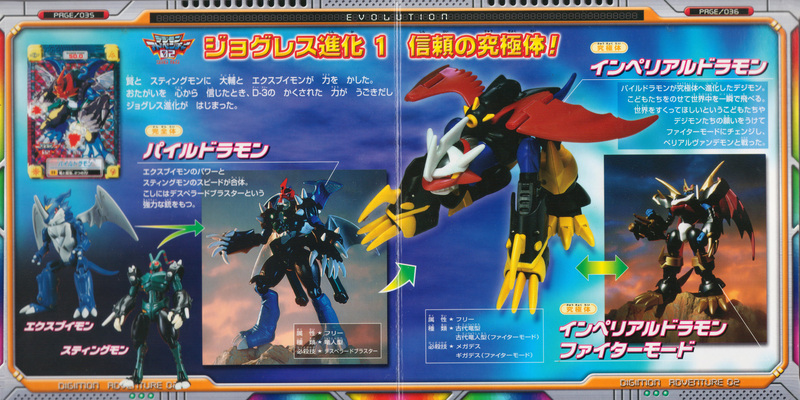 The book finishes with a spread dedicated to the 2 02 films- Hurricane Touchdown and Diablomon Strikes Back. Thanks again to Devkyu for the work. 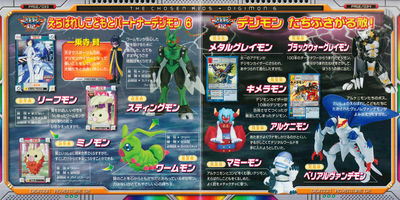 Edit: Was that Paildramon the same one the states got? 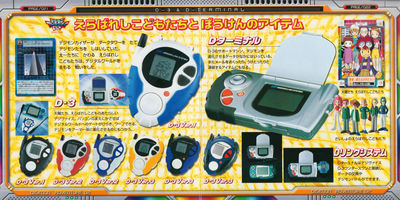 I remember the transformation being a little different. The original Japanese Paildramon toy was two separate XV-mon and Stingmon figures that combined. 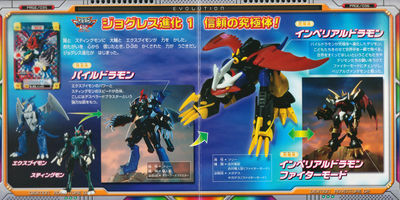 The Western toy was a 3-in-1 transforming figure. 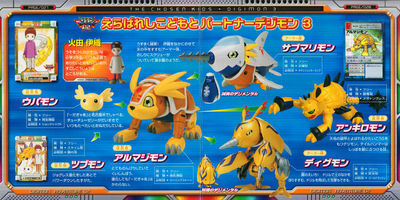 Looking at it, it's quite clear that Paildramon was designed for the Japanese toy. 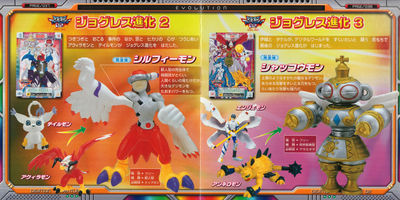 The "kibble" from the toy was re-purposed into intentional parts of the design, like XV-mon's head and Stingmon's legs into blue wings and gun blasters. 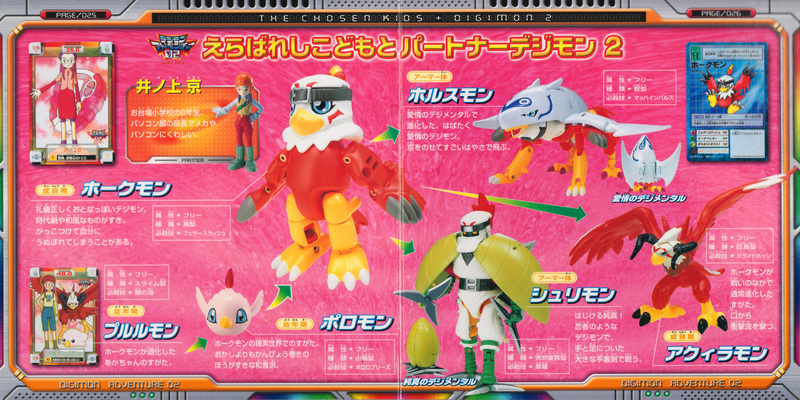 The 02 Lopmon section is interesting. 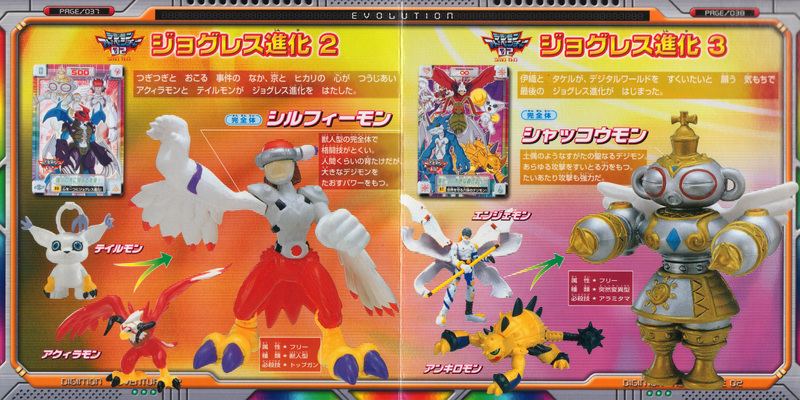 That Antylamon figure has a bandage wrapped around his arm. 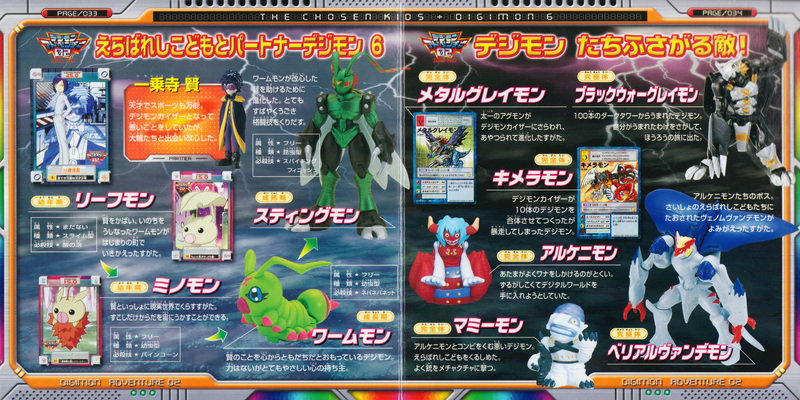 Also something that seems unique to 02 Lopmon is that Chocomon is pink. Despite being the "dark" line, I always found that the original line fits Cherubimon Virtue better than the newer Turuiemon>Antylamon Deva line. 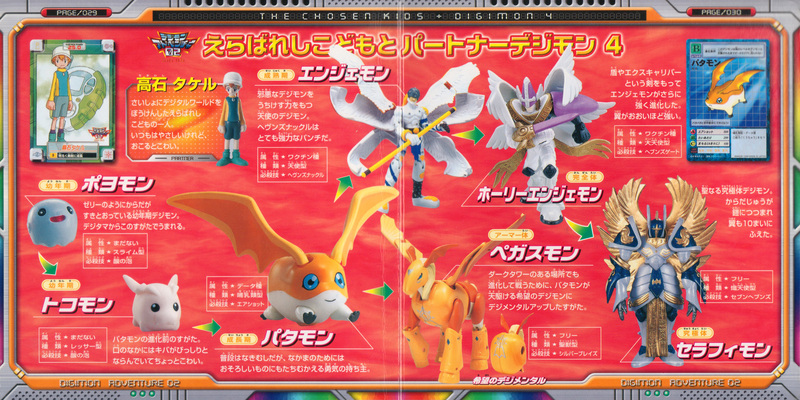 The pink/brown color scheme is more cohesive than the purple/lavender color scheme. Last edited by YongYoKyo; 12-04-2018 at 10:18 PM. 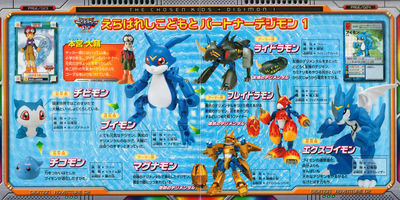 Woah that Andiramon toy is so weird. 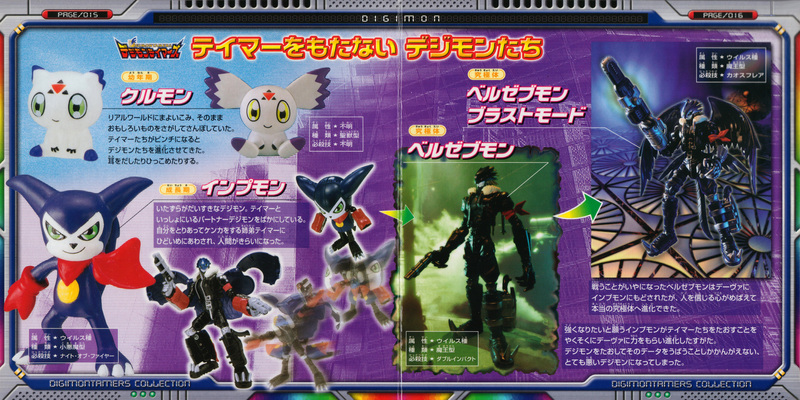 I wonder if the bandage on Andiramons arm in that toy was an unused concept, because I don't remember it at all on the movie. 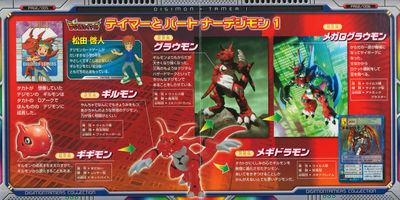 But there was a scene where Chocomon was bandages and Wendimon still has a bandage so it makes sense. 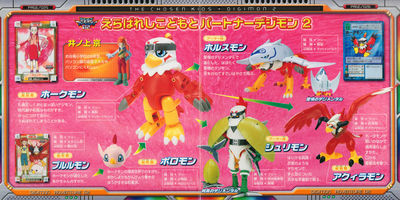 Digivolvong Spirit armour and paildramon could be amazing. If love to see them try it. 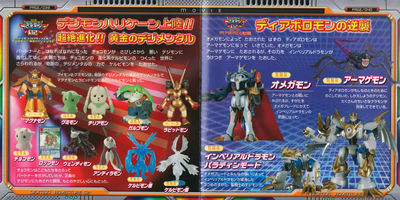 I miss when Magnamon was up there with Dukemon and Omegamon in merch and stuff. 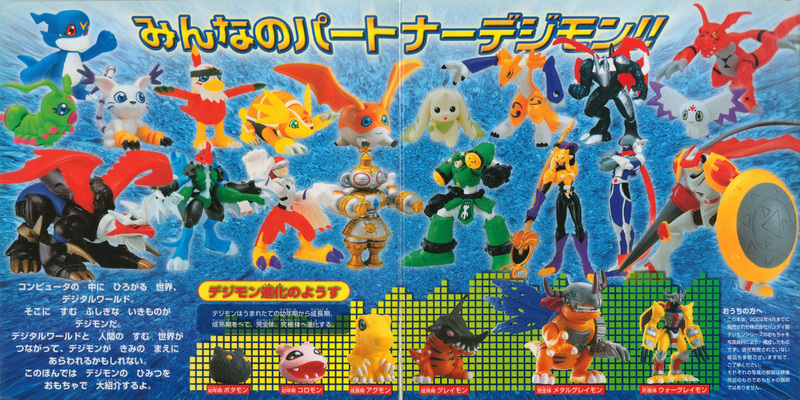 I had that electronic Terriermon toy. It was supposed to walk and flap it's ears and talk but I dropped it as soon as I opened it and broke it's internal electronics somehow and I was devastated lol. I want that Holydramon toy more than I want to breathe. Oh that Shakkoumon figure is lovely! 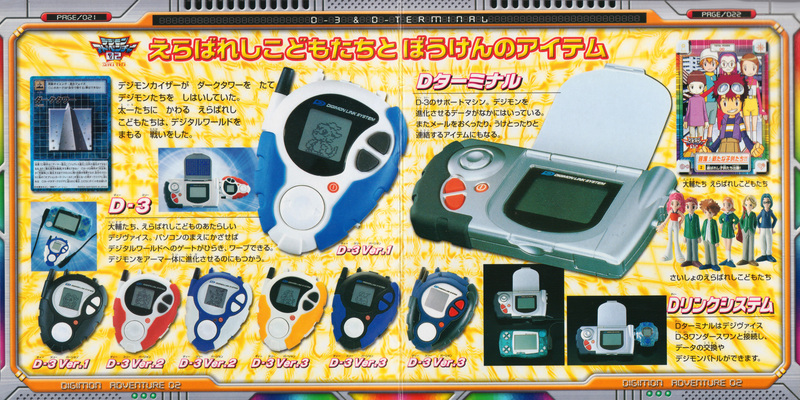 It's nice to see all of the available products-some that I'd love to buy! 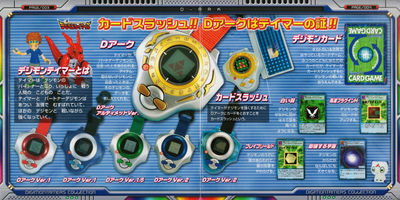 I still don't understand why they made such random color alterations for Takeru's and Hikari's D3 back in the day. Did I miss something? 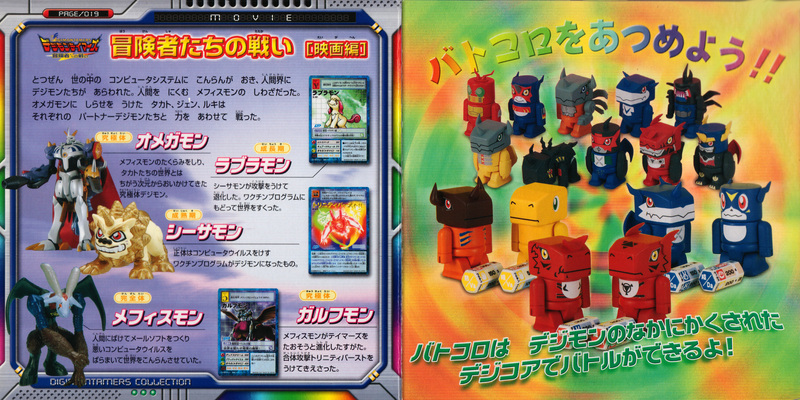 They didn't even went with their Jogress colors.